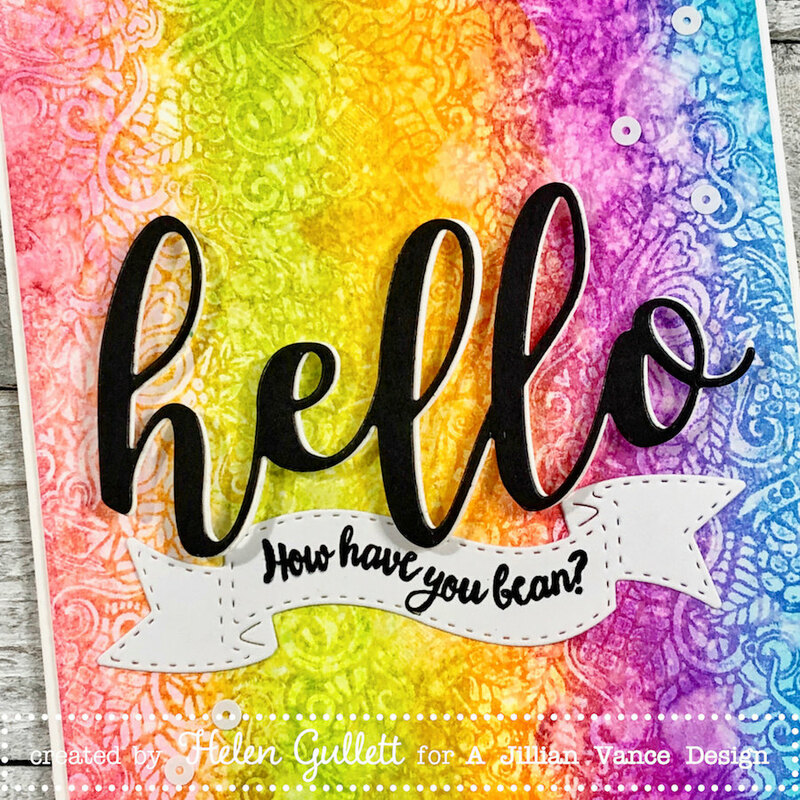 A Jillian Vance Design: Hello, How Have You Bean? 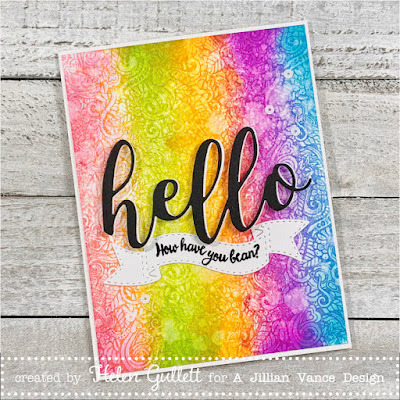 Hello everyone... Helen is here today with a fun rainbow hello card that I created using INKboss INKpression Plate, stamp set, die sets, sequins, and CP premium dye ink pads. 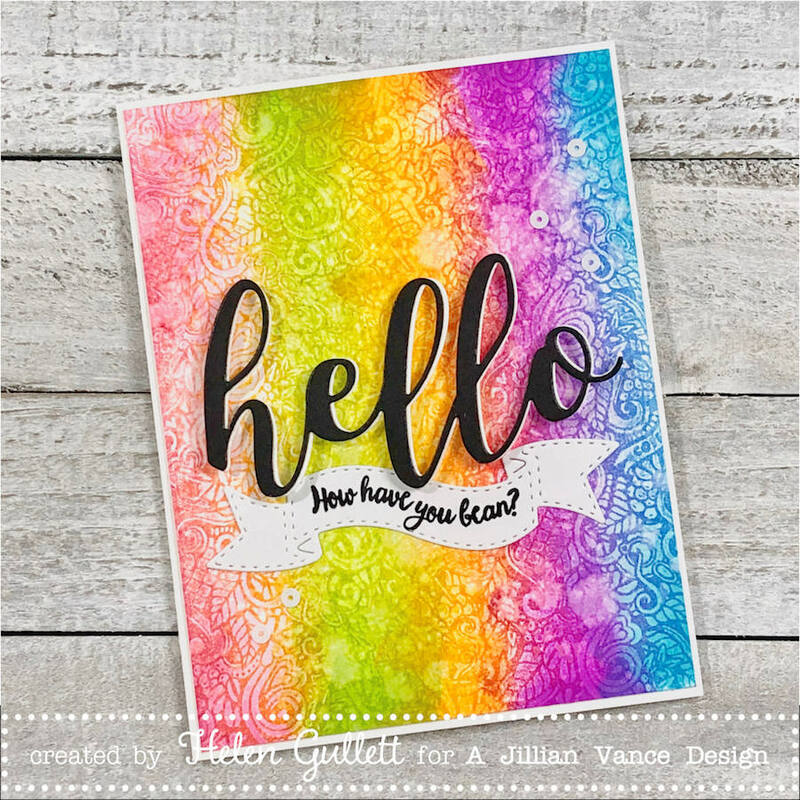 I started with creating the distressed rainbow background. 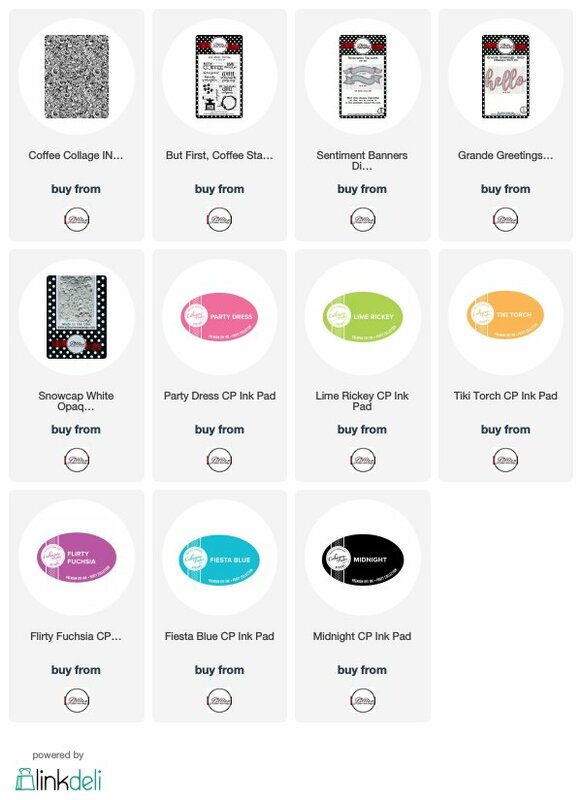 Using, the Coffee Collage INKboss INKpression Plate, I pressed a piece heavyweight white cardstok using my diecutting machine. After that, using make up sponges I added each colors lightly on the paper with circular. 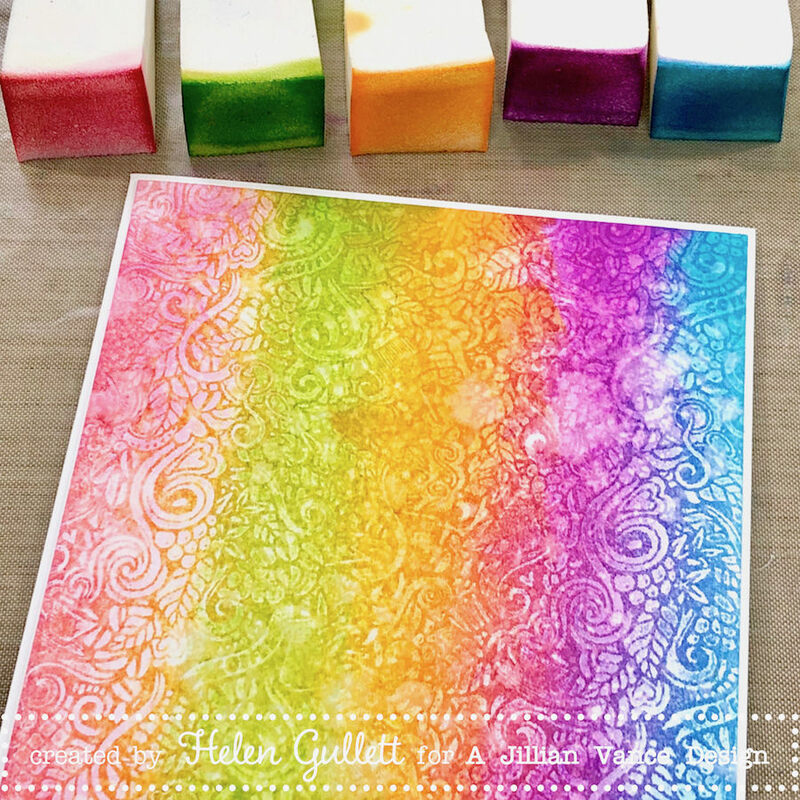 The Catherine Pooler's Dye Inks I used are Pretty Dress, Lime Rickey, Tiki Torch, Flirty Fuschia, and Fiesta Blue. I blended them as I added the colors. Next, I sprayed some water using distress sprayer bottle, let it sit for couple seconds, then I dabbed it off with paper towel and dried it well with craft heater. I trimmed the background panel slightly smaller than an A2 white card. I added it on the card with dries-clear adhesive glue. I cut out white cardstock and black cardstock using the Grande Grettings Hello Die, slightly overlapping and stacked them with dries-clear adhesive glue, then I added it on the card with 3D foam tape. Next, I cut out a white cardstock with one of the Sentiment Banners Die Set, stamped it with one of the sentiments from But First Coffee Stamp Set using Midnight Catherine Pooler's Ink Pad, and I added the banner under the Hello word with dries-clear adhesive glue. I embellished the card with some of the Snowcap White Opaque Seguins. The card is done. I hope you all can enjoy it. Thank you so much for stopping by today. Have a fabulous day!